Frederik Evangelical Lutheran Church was established in 1666, the same year that Erik Nelson Smith took formal possession of the island of St. Thomas in the name of the Danish West India Company. The original colonizing group included a Luther a Lutheran Pastor, Kjeld Jensen Skagelse. A few months after the settlement landed Smith died, and the Luther Pastor had to assume temporal, as well as spiritual, leadership. 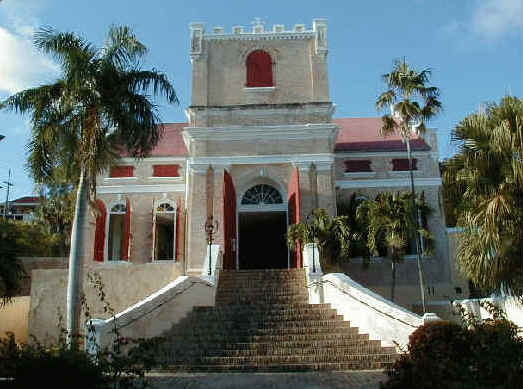 The Lutheran Church during the early decades of the Danish colony was closely allied with the development of the colony. The settlement was a venture of private enterprise by the stockholders of the Danish West India Company under a charter by the royal government. 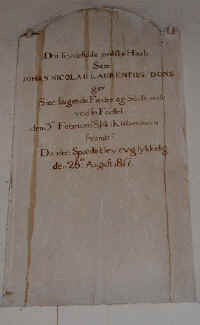 This charter included a provision that the Lutheran Church (the state religion of Denmark) was to be maintained in the colony and the company was to select appropriate ministers to serve it. When St. Thomas became a crown colony through purchase of the company by the State in 1754, the church was able to expand its role in community affairs very rapidly. Already it was operating schools for Lutheran children and later for slave children as well. It was a Lutheran Pastor, the Rev. Hans Stoud, who first proposed that a hospital and school should be built on each island and saw his proposal realized on St. Thomas. Thanks to the laborious efforts of Pastor Erik Wold and Mr. J. M. Magens (a Dane born on St. Thomas and of the same family after whom Magens Bay is named), Luther's Small Catechism, a hymnal and a a grammar were all printed in the Creole language by 1770. Worship services were originally held in the homes of planter and soldiers. Later space was made available at Christensfort. A small chapel was built right in the Fort courtyard, and grave markers that were set in its floor as memorials may still be seen there. 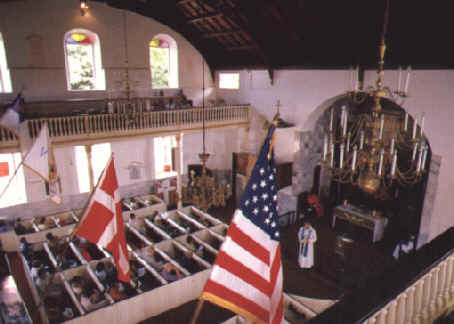 Danish, Creole and later English languages were used in the worship of the Congregation. Creole was used as late as the 1840's and the last Danish services, held at Christmas only, were discontinued in the 1930's. The present building was started in 1789 and completed in 1793. Its cost was met by private donations, contributions from the government, and a considerable loan from the Danish West Indies Poor Fund. The building was gutted by the fire in 1826, but the walls remained sound and it was rebuilt. Hurricane damage was sustained in 1870, and the appearance of the present building dates from the repair and remodeling of that period. The tower was added at that time. It houses the church bell installed in 1871. A vestry was added to the rear of the building in 1951 and a sacristy in 1954. The alter was moved back behind the arch in the 1951 remodeling and the pulpit located to the west. The wood in the chancel and pulpit is local mahogany. 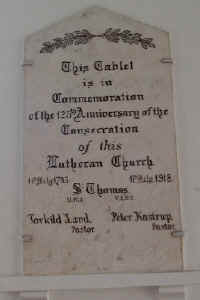 In 1993 the 200th anniversary was celebrated by the congregation. 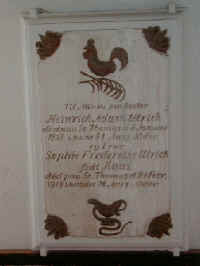 Tombstones and memorials and been cemented into the interior walls of the church. The numbering of the markers begins on the right side of the entrance on the ground floor and continues in a clockwise motion around the room. The numbering of the second floor likewise begins on the right side above the entrance and continues in a clockwise motion. Heinrich Adam von Lillienschiold, Church #1 (August 29, 1797 to July 20, 1835) "Til Minde om Premier Lieutenant af de vestindiske Tropper Heinrich Adam von Lillienschiold födt paa St. Thomas d 29 Augst 1796 död Sammeslads d. 20 Juli 1835. 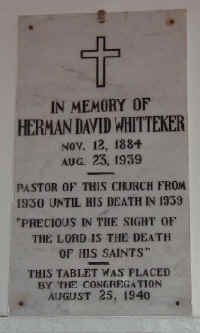 Herman David Whitteker, Church #3 (November 12, 1884 to August 23, 1939) "In Memory of Herman David Whitteker Nov. 12, 1884 Aug. 23, 1939 Pastor of This Church From 1930 Until His Death in 1939 "Precious In The Sight Of The Lord Is The Death Of His Saints." 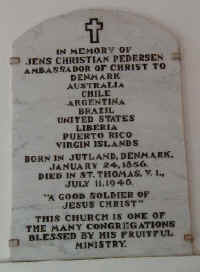 This Tablet Was Placed By The Congregation August 25, 1940"
Jens Christian Pedersen, Church #4 (January 24, 1856 to July 11, 1940) "In Memory Of Jens Christian Pedersen Ambassador Of Christ To Denmark Australia Chile Argentina Brazil United States Liberia Puerto Rico Virgin Islands Born in Jutland, Denmark January 24, 1856. Died IN St. Thomas, V.I. July 11, 1940. 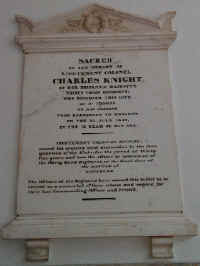 "A Good Soldier Of Jesus Christ" This Church Is One Of The Many Congregations Blessed By His Fruitful Ministry." 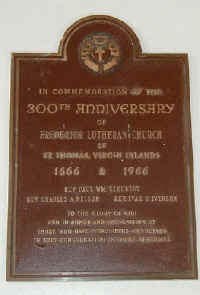 Church #5 "In Commemoration Of The 300th Anniversary Of Frederik Lutheran Church Of St. Thomas Virgin Islands 1666-1966 Rev. Paul WM. Schubert Rev. Charles A. Nelson Rev. Ivar D. Iverson To The Glory Of God And In Honor And Recognition Of Those Who Have Worshiped And Served In This Congregation In Three Centuries." 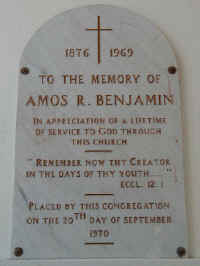 Amos R. Benjamin, Church #6 (1876 to 1969) "1876 1969 To The Memory of Amos R. Benjamin In Appreciation Of A Lifetime Of Service To God Through This Church "Remember Now Thy Creator In The Days Of Thy Youth . . . ." Ecct. 12:1 Placed By This Congregation On The 20th Day Septmeber." 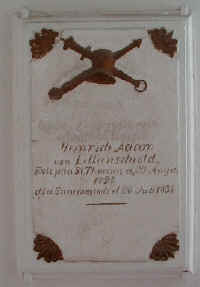 Doctor Heinrich Adam Ulrich & Sophie Frederikke Ulrich, Church #8 "Til Minde om Doctor Heinrich Adam Ulrich Död paa St. Thomas d. 6 Januar 1818 hans Aars Alder of Frue Sophie Frederikke Ulrich födt Kaas död paa St. Thomas d. 24 Febr. 181 i hendes 76 Aers Alder." 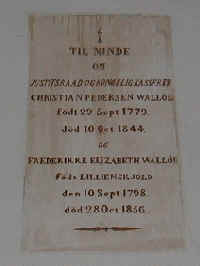 Christian P. Wallöe, Church #9 (November 25, 1836 to June 22, 1873) "Til Minde om Christian P. Wallöe født 25de November 1836 død 22de Juni 1873." 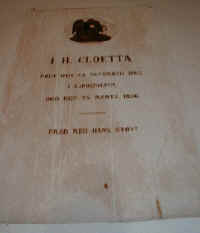 I. H. Cloetta, Church #10 (November 23, 1803 to March 25, 1866) :I. H. Cloetta født den 23 Novermber 1803 i Kjøbenhavn død den 25 Marts 1866 Fred med hans Støv!" 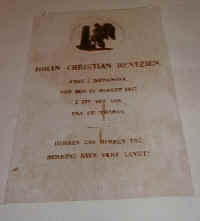 Iohan Christian Bentzien, Church #11 "Iohan Christian Bentzien født i Danmark død den 15 August 1817 i sit 21de Aar paa St. Thomas Herren gav, Herren tog, Herrrens Navn være lovet!" Maria Rosalia Wallöe, Church #12 (August 17, 1854 to March 16, 1885) "Til Minde om Maria Rosalia Wallöe nee Ripperger födt 17de August 1854 död 16de Marts 1885"
Christian Pedersen Wallöe & Frederikke Elizabeth Walløe, Church #13 (September 29, 1779 to October 10, 1844) & (September 10, 1778 to Ocotober 28, 1856) "Til Minde om Justitsraad og Kongelig Kasserer Christian Pedersen Wallöe födt 29 Sept. 1779 död 10 Oct. 1844 og Frederikke Elizabeth Walløe födt Lillienschiold den 10 Sept. 1798 död 28 Oct. 1856." Johan Nicolaii Laurentius Dons, Church #14 (February 3, 1814 to August 28, 1817) "Dot frydefulde jordifke Haab som Johan Nicolaii Laurentius Dons gav sine førgende Forældre of Sødskende ved fin Fødfel den 3die Februar 1814 i Kjöbenhavn fvandt !!! Da den Spæde blev evig lykkelig den 28 Auguft 1817." August Anthon Wallöe, Church #15 (September 5, 1840 to January 16, 1895) "Til Minde om Redaktör August Anthon Wallöe födt den 5te September 1840 död d. 16de Januar 1895"